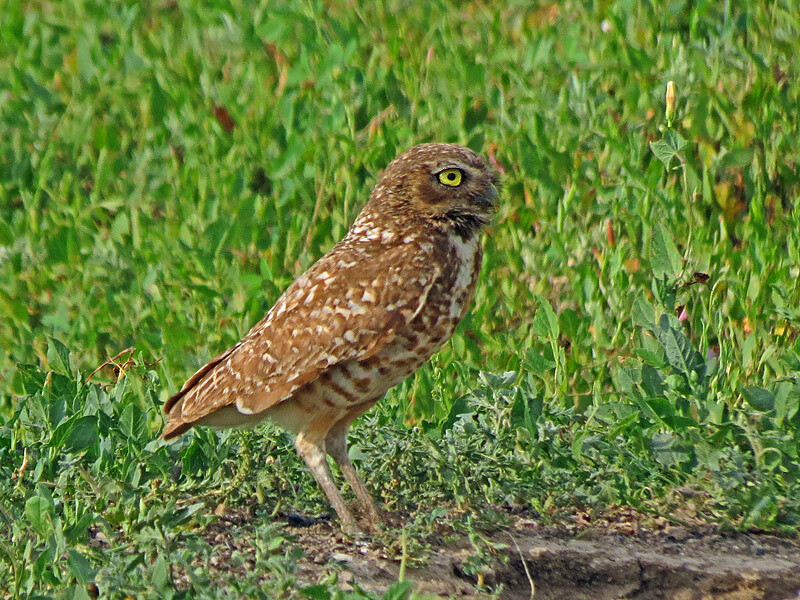 The Burrowing Owl is a small tannish barred spotted owl with white chin stripe, round head, long legs, and stubby tail. It is often seen in open country by day standing erect on the ground or posts. It has a range of southwestern Canada, western United States, and Florida. 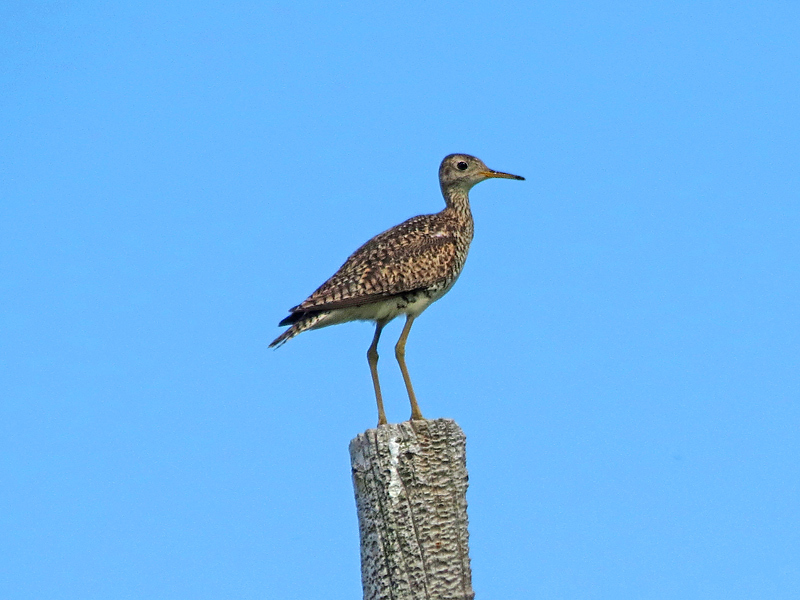 It has a habitat of open grassland, prairies, farmland, airfields, and lives in burrows and prairie dog towns. The diet consists of insects and small mammals.